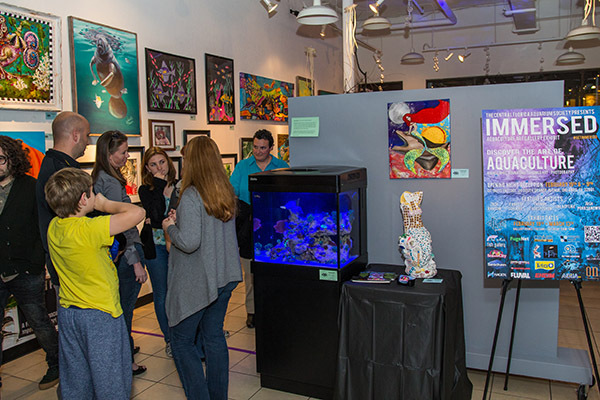 This year's Immersed aquaculture art gallery exhibit opened to rave reviews, increased attendance, and featured nearly 300 gallons of aquarium installations, designed by Central Florida aquatic businesses. For the past 2 years, the Central Florida Aquarium Society and award-winning Pink Hair Productions has produced “Immersed”, Central Florida's premier aquaculture art gallery; a fusion of art and aquariums created by local individuals and businesses. We thank everyone who came out to support our hobby, the arts, and the work we do. Numbers were up across the board. Attendance at our opening night reception exceeded 1,500 guests in just 3 hours! Through the support of our sponsors, we had nearly twice the amount of prizes compared to last year. 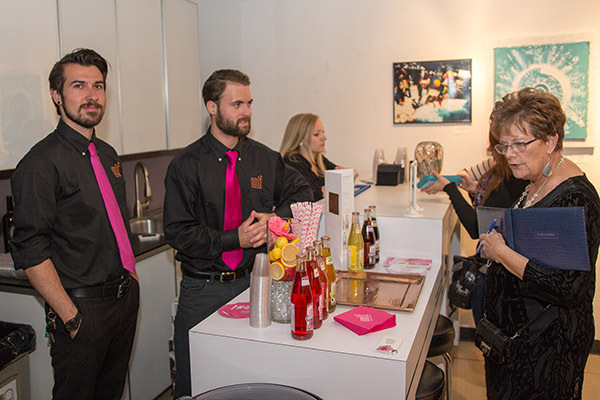 Our friends over at ONLI Beverages came out to support our show, passing out hundreds of bottles of their all natural flavored sparkling water. Hibiscus Pomegranate and Lemon Watermelon were definitely a crowd favorites. 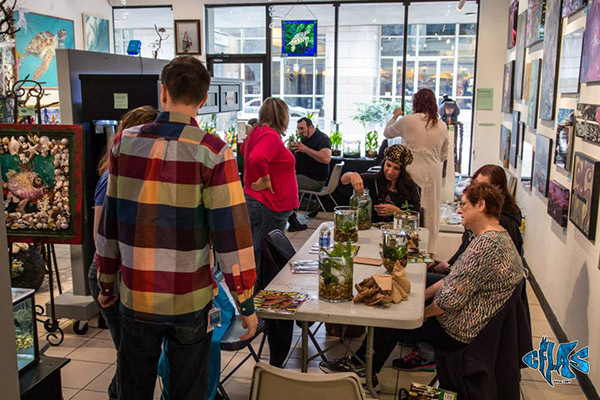 The Central Florida Aquarium Society once again hosted the Aquatic Terrarium Workshop at Immersed for it's second year, presented by Fancy Tails Aquatics. 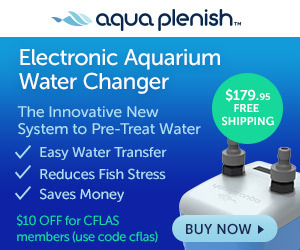 Seachem Laboratories sponsored this instructional, hands-on, and educational class with several products that promote plant health and growth, while several dozen copies of the March 2015 issue magazines were provided by Tropical Fish Hobbyist magazine. The workshop was a huge success, which reached maximum capacity allowing for standing-room only. Artists: Abraham Tosado, Alford Sanchez, Bernard Cruz, Carlos Basabe, Chris Gerbig, Christine Hufford, Daphne Cox, David Mole, Donna Calhoun, Eric Wise, Everett Spruill, Gretchen Smith, Jassica King, Jeanette Schuerr, Jose Rivera, Josue “Josh Porksandwich” Matias, Lincoln Thomas, Lisa Sullivan Dunlop, Louis Ammirato, Margaret Juul, Maricruz Ortiz, Mary-Ann Neel, Megan Steward, Nick SL, Olivia Heath-Jolly, Orlando Florist, Regina Rozzi, Rhonda Reichle, Steven Arterbury, Thomas Thorspecken, Tom Ryan, Travis Luther, Valorie Mace, Victoria Gregorio, Victoria KonJain, and Zach Ransom. Local Aquatic Exhibitors: Fish Gallery, Fancy Tails Aquatics, and Sea in the City. Event Sponsors: Marineland, Tetra, Hagen, Fluval, EHEIM, Seachem Laboratories, AquaFX, ONLI Beverages, and Jenny Albert Sea Turtle Foundation. Aquatic Terrarium Workshop Sponsors: Fancy Tails Aquatics, Seachem Laboratories, and Tropical Fish Hobbyist Magazine. Prize Sponsors: Marineland, Tetra, Hagen, Fluval, EHEIM, Seachem Laboratories, Fish Gallery, Jenny Albert Sea Turtle Foundation, The Fish Tank, Daytona Aquarium, Salty Addiction, Ocala Aquariums, Orlando Florist, and Spooky Empire. Media Sponsors: The Fish Tank, Dropcam, Bijou's Boutique, The Paper Gallery, Embellish FX, The UPS Store, Savoy, Orange Cycle, Graffiti Junction, CVS Pharmacy, Gallery on the Edge, and FugeNet. Producers: Pink Hair Productions, and the Central Florida Aquarium Society. Hosts: Downtown Arts District of Orlando, and CityArts Factory. Special thanks to Wes Hodge for his assistance the past 2 shows. Mark your calendars for Thursday, February 18, 2016 (6-9pm), when Immersed returns to CityArts Factory in beautiful downtown Orlando!